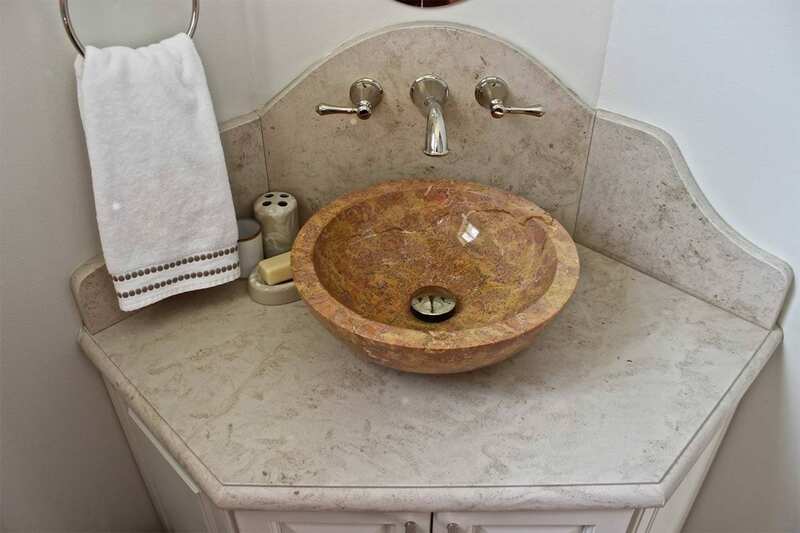 Granite and stone countertops that are installed in kitchens and bathrooms go through a process to transform its naturally occurring appearance into a unique counter that is cut and polished to unique specification. The process is called stone fabrication; the contractors are called stone fabricators. Stone Fabrication involves inspecting the stone for natural flaws, including blemishes, fissures, seams, and scratches. The slab is then laid out to ensure the best appearance of both color and vein texture. 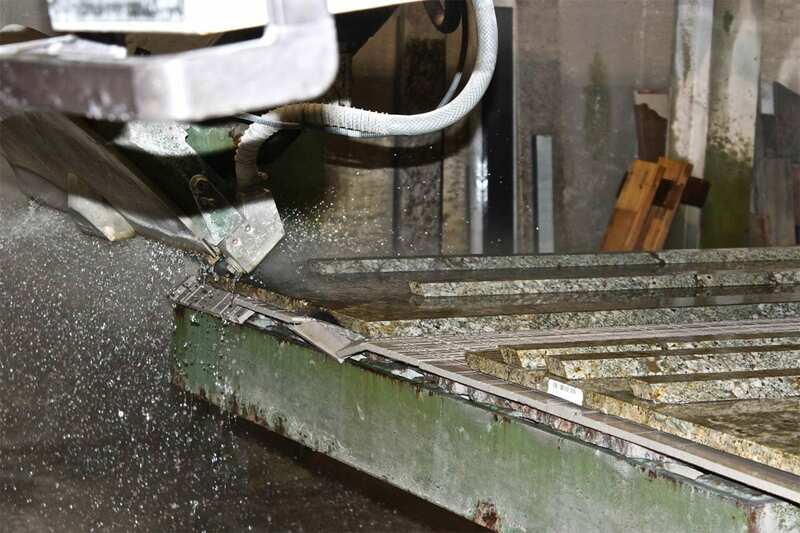 Then, the stone is cut to approximately 1/16 of an inch of its final thickness. Edging and any special scribing will further shape the stone. Support rods and drain boards that the slab may require are installed next. A multi-step process that involves a grit polish is used to smooth the stone surface and then the stone is washed, dried, and the sealer base coat is applied. The fabrication process occurs at the Carr Stone & Tile facility prior to installation at the final site. The density and overall structural integrity is another important part in stone selection and stone fabrication. The quality of the stone quarries and section in the quarry where the stone slab is quarried can impact the strength and durability of the stone. Carr Stone & Tile uses reputable stone company suppliers that have structural test information on stone from the stone quarry origins. The Carr Stone & Tile fabricators are great quality control coordinators that will help to ensure that you are getting a quality stone slab. A stone fabricator can provide advice on the best stone, marble or granite for your residential or commercial project. The first part of the stone fabrication process involves templating or measuring the dimensions of the installation to know exactly how much stone is needed. Once this is completed, the type of stone, veins, shading, and color can be considered among the available stone company supplies.